Although the Essential Phone has been criticized for its camera and software, Andy Rubin's company has been hard at work trying to address these concerns since the smartphone was launched on the market. Another step towards fixing all these issues with the Essential Phone has been made recently, as the Camera app of the handset received an update that further improves some of the existent features. Firstly, Essential has added App shortcut support for mono, selfie and portrait modes. Also, the Camera Roll performance has been improved, along with the 360 image preview. Finally, many stability fixes have been implemented, so Essential Phone users should notice the Camera app is much smoother after the update. 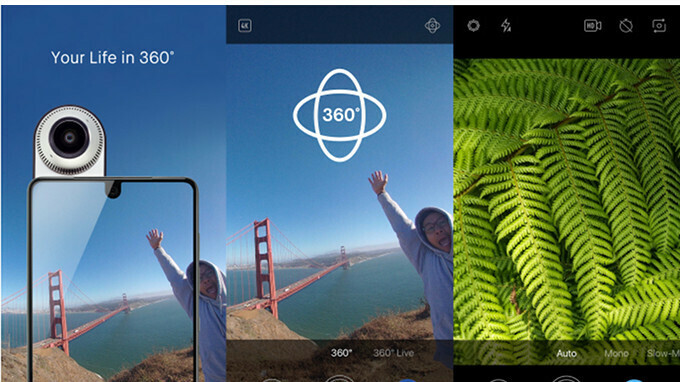 Essential confirmed the newest version of Camera app has already been listed in the Google Play Store, so make sure to download the update to benefit from the latest improvements. But at the end of the day, it'll never be quite good enough. I compared it to my slowly dying 6P and that 4 year old phone (or however old it is) ran circles around the Essential in absolutely every regard. Sent it back the next day. One day isn't enough to judge any phone, let alone a phone that is constantly receiving software updates that is taking advantage of the great hardware underneath. I had the Essential Phone for 10 days, and my friend bought it from me, and it was just as fast as my Note 8. The last camera update I received greatly improved the picture quality, and it was comparable to the pictures I got from my Note 8. And the best part about it, that with the Google Camera app, it gave me almost a Pixel like pictures with the impressive HDR+. Every picture I took using that app was better than the Note 8. I totally agree. I really dont understand the hate for this device. I got one used for $300, and it has been a great phone overall. Rooted it, upgraded to oreo, installed the modded google camera app and now this thing is definitely one of the best phone experiences Ive ever had. I've enjoyed this phone more then my iphone x and my last android phone, oneplus 5. With the modded google camera app, this thing takes better overall pictures and handles portrait mode better than my iphone x. I know modifying devices isn't everyones cup of tea, but for people comfortable with rooting their phones, this thing is a gem! Very underrated device. I thought portrait mode would not work on the modded google camera app unless the phone was rooted, otherwise there would be lens blur as a option instead of portrait mode? Well regardless of the matter, your right, this device is great stock. And the stock camera is not bad at all. I also rooted soo I could use iOS emojis lol. Nooo lol, you can simply go to the settings and turn on portrait mode, then restart the app. Then portrait mode will replace lense blur. And see, you rooted your phone because you needed iOS emojis, but the phone as it is, doesn't need any modifications to perform like a true flagship. The only thing that Essential need to work on, is improve the phone's ram management. You and ikehigh05 have the most civilized comment thread I've read in phonearena for the past weeks. Why can't everybody be like this, sharing insights properly? I will get essential phone next month. Just waiting for a few more discounts because I'd like to tinker with it and not going to use it as my main device. I am really getting intrigued with it's 4k selfie camera. To anyone interested in buying the Essential Phone, my advice for you is to go for it. I regret ditching it for the Note 8. Yes the Note 8 is better, but it was unique and felt like a piece of jewelry in my hand. The camera was amazing, especially using the modified Google Camera app, and now you can have all the Pixel 2 camera goodies on it as well. I also had the 360 camera, and it was a joy to use it. How about that signal strength though? I've read it's pretty bad, and the main reason I skipped it.